BonBonFlower , the latest collection of necklaces for upcoming Summer 2016. 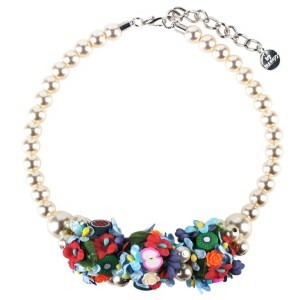 Flowers , fruit, color, happiness , pearls , always a welcome gift for all women , young and old . Complete these gorgeous necklaces some leather applications and resin complement, all handmade and available in different colors .